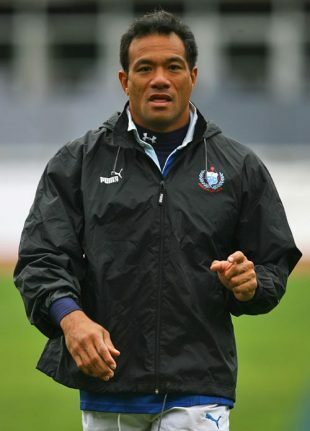 Brian Lima has quit as Manu Samoa defence coach, resigning all "active roles" within Samoan rugby after he was arrested over domestic violence allegations involving his former wife. The Samoa Observer reported that Lima had advised Samoa Rugby Union chairman and Prime Minister Tuilaepa Sa'ilele of his decision in a letter, and that he had also offered an apology to the union. Lima's former wife, Lemalu Sina Retzlaff, alleged in December that he had assaulted her causing two black eyes, cuts and a badly bruised face. Lima was charged with causing actual bodily harm and being armed with a dangerous weapon. Lemalu, a prominent businesswoman and former president of the Samoa Chamber of Commerce, subsequently spoke publicly for the first time about abuse she allegedly received during the relationship. Lima is due in court next week. Samoan police have obtained Lima's travel documents, and ordered him not to approach or contact Lemalu, who, meanwhile, has taken out a protection order against him. Tuilaepa told the Samoa Observer that Lima had resigned as "he tries to solve issues in their family", describing the coach's relationship with Lemalu as a "delicate matter".